The weather is absolutely stunning here today, and it has me dreaming of what flowers I'll have in my garden this year. In the fall, I planted a LOT of spring bulbs... and I can't wait until they start to grow and delight! 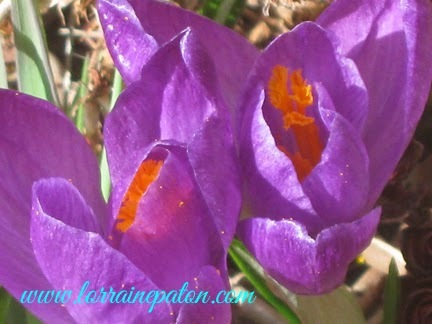 Crocuses from my 2011 garden. They certainly are beautiful. I remember them growing wild in the fields when I lived on the farm. Even if there was still snow around.